Our extensive experience in casting glass enables us to produce both simple and complex three-dimensional forms suitable for a variety of contexts. 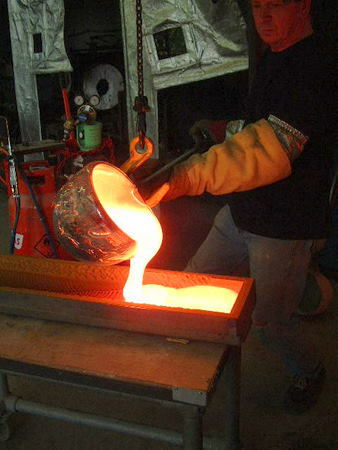 Ladle Casting involves the pouring of molten glass into specially prepared sand, graphite or metal moulds. Kiln Casting requires the production of a refractory plaster mould into which glass is melted at a high temperature. 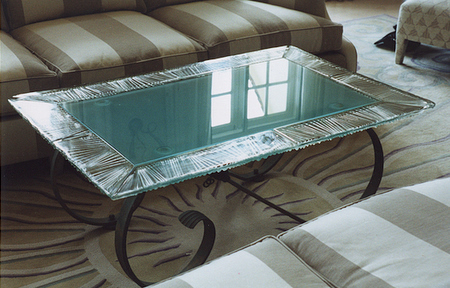 Through both of these processes we can produce translucent and opaque, clear and coloured glass forms that can be further enhanced by the applied surface finishes of sandblasting, etching, cutting and polishing. This is a process rarely used outside of the large-scale glass industry but at Glasszoo we are able to exploit this process to produce truly unique glass forms. 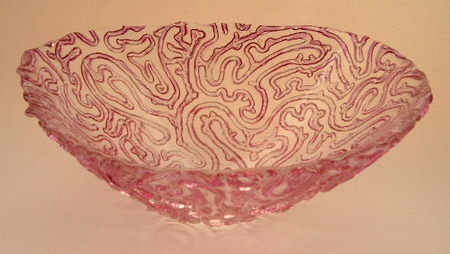 Molten glass at a temperature of 1260 Celsius is poured into a sand or metal mould that is then rotated in a centrifuge to force the glass to take up the mould detail. This process is particular suited to producing glass vessels and lighting.